One of the most interesting aspects of options is the myriad opportunities presented for high probability trades for those who understand the details of option behavior. For example, I have recently discussed the routinely observed collapse of implied volatility immediately following an earnings release. We have looked at several examples of profitable trades constructed to benefit from this expected decline in implied volatility. Today I would like to review another group of trades based on a fundamental characteristic of option pricing. In order to understand this phenomenon, we need to review briefly the anatomy of the price of an option. 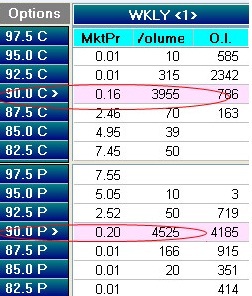 Remember that an option’s price, while quoted as a pair of bid / ask values, is in reality the sum of two components. The current market price is the combination of the extrinsic and intrinsic components of the individual option contract. The extrinsic component can comprise the entirety or only a variable portion of the market price of an option. All options contain at least a small amount of extrinsic component. The intrinsic component of an option may comprise the majority of the value of an option, as for example a deep in-the-money option. Conversely, an individual out-of-the-money option routinely contains no intrinsic value whatsoever. As an example, consider two current option prices from the AAPL option chain as the price of the stock is around $450. The deep in-the-money March 400 call is priced at $54; it consists of $50 of intrinsic premium and $4 of extrinsic premium. In contrast, the out-of-the-money March 500 call is priced at $2.60. It contains $0 of intrinsic value and $2.60 of extrinsic premium, or the entire price of the option. One important consistent observation on the ratio of these premiums should never be forgotten because it is invaluable to remember in constructing potential trades. 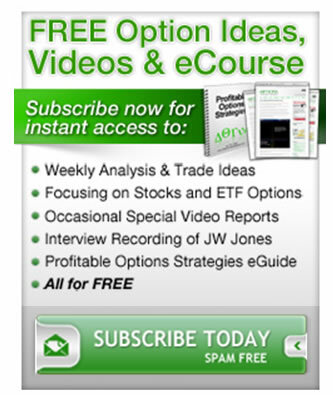 The at-the-money option contains the most intrinsic premium within any one expiration series. This occurs 100% of the time or ALWAYS. Another important point to realize, another characteristic about which there is no argument, is that the extrinsic premium goes to essentially 0 at expiration. Furthermore, there is a rapidly accelerating decline to 0 as the expiration date approaches. My mental analogy is that the extrinsic premium is like a snowball rolling downhill; it starts slowly, gains mass, and rapidly accelerates as the end of the slope (the expiration date) approaches. While in previous times this vanishing of extrinsic premium was confined to a single monthly cycle, the recent advent of weekly option cycles has come to mean this is a weekly event. The final smell of burning extrinsic option premium as it goes to 0 occurs every Friday for the most active issues! The logical extension of this daily decay of extrinsic premium has a practical implication every Friday morning. Extrinsic premium that is present for options series expiring that day will go to 0 by the closing bell. Read that again! This weekly occurrence has great profit potential for your trading. As an example of the power of this mandatory decay, let us consider last week’s closing action in the XOM weekly option series. As we have discussed before, XOM has a hugely active options series, trades in both monthly and weekly expiration series, and has bid / ask spreads that are just a few pennies wide. It is, in short, close to an ideal option trading candidate. XOM reported earnings shortly before market open on Friday, February 1st. The stock initially sold off to $89.40 from its previous close at $90.24. Shortly following this bottom, the stock manifest an intraday rally and the option activity was tightly focused within the first hour of market activity at the 90 strike options which were to expire that day. This strong, clear, and tight focus of options activity was a highly predictive factor that XOM would “pin” the 90 strike for the day. At the time that XOM was slightly below $90 and the extrinsic premium existing in the 90 strike puts contained an extrinsic value of $0.28 and a total price of $0.32. I sold the 90 puts with only a few hours of life remaining until expiration. 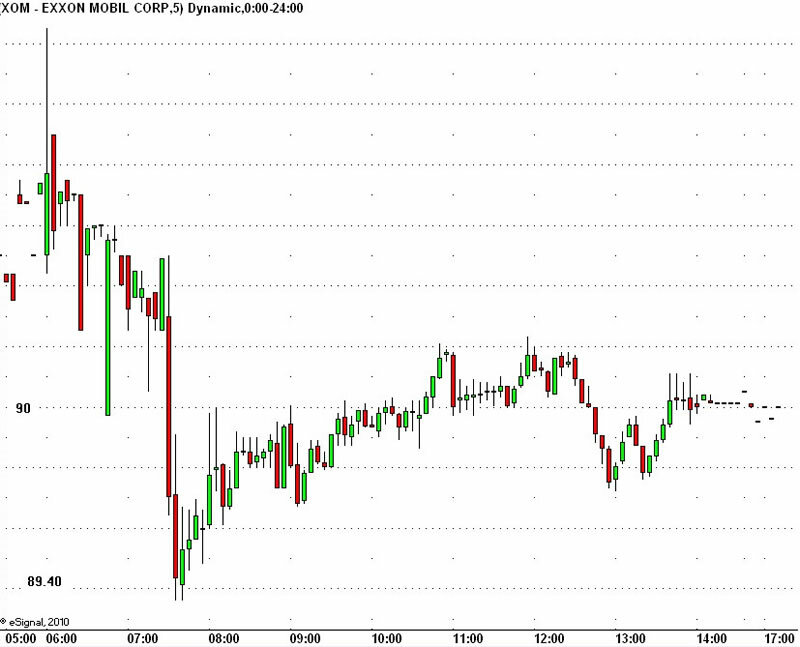 Within a few hours, XOM traded to a few cents above $90 and I was able to close these puts for $0.12. This highly successful trade benefitted from both the resurgence in price correctly predicted earlier by the tightly focused options activity at a single strike price and by the relentless decay in extrinsic premium toward 0 as the expiration bell approached.